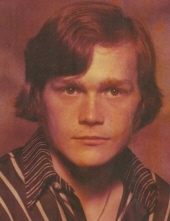 Celebrating the life of Clifford Jon Hott Jr.
Obituary for Clifford Jon Hott Jr.
Clifford Jon Hott Jr., 57, of LaSalle, passed away on Monday, February 04, 2019 at home. According to his wishes, no services will be held. Arrangements are entrusted to the Mueller-Pagani Funeral Home and Crematory, LaSalle. Mr. Hott was born April 7, 1961 at Ryburn Hosptial, Ottawa to Clifford and Norma (LeRette) Hott. He was a graduate of Marseilles High School. He married Marilyn Jean (Habben) Wilson-Lajcin on November 1, 2005 in Ottawa. Mr. Hott was a veteran of the U.S. Army and was stationed all over the United States. He loved all animals and his collections. He especially loved his dogs, Rhoda and Barbie. He loved his job at Illini State Park before becoming disabled. He had a courageous battle with pancreatic cancer but the cancer won. Survivors include his wife, Marilyn; a daughter of Alaska; his step-son, James (Alena Strandell) Wilson of Morris; a great-granddaughter, Cassandra; two sisters, Faith and Valerie; two brothers, Hank and Les and many nieces and nephews. He was preceded in death by his parents; one daughter and a beloved dog, Jumper. Memorial contributions may be directed to the Pet Project. To send flowers or a remembrance gift to the family of Clifford Jon Hott Jr., please visit our Tribute Store. "Email Address" would like to share the life celebration of Clifford Jon Hott Jr.. Click on the "link" to go to share a favorite memory or leave a condolence message for the family.